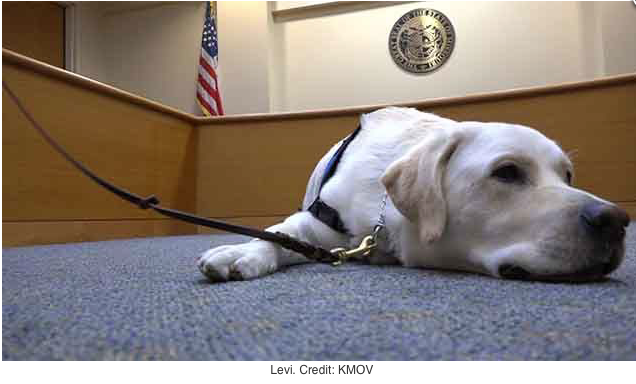 Thank you to KMOV for doing a great story on Levi, St. Louis County’s first Assistance Dog. He was specially trained to work within the legal system, comforting victims during forensic interviews or staying nearby if they have to testify in court. He will most often work with children.